What Is A Pre CBS Stratocaster And Are They Really Worth The Money? What Is A Pre CBS Stratocaster? A Pre CBS Stratocaster is considered by many to be the holy grail of electric guitars. They are guitars (specifically Stratocasters for our discussion) that were built by Fender Guitars prior to 1965. Leo Fender started Fender Guitars in 1946. He started as a small radio shop and began building tube amplifiers out of his garage. By 1965 Fender Musical Instruments had grown into one of the largest musical instrument company in the world. Early 1965 is when Leo sold his company, Fender Musical Instruments, to CBS (Columbia Broadcasting System). Below is an image of my all-time favorite. 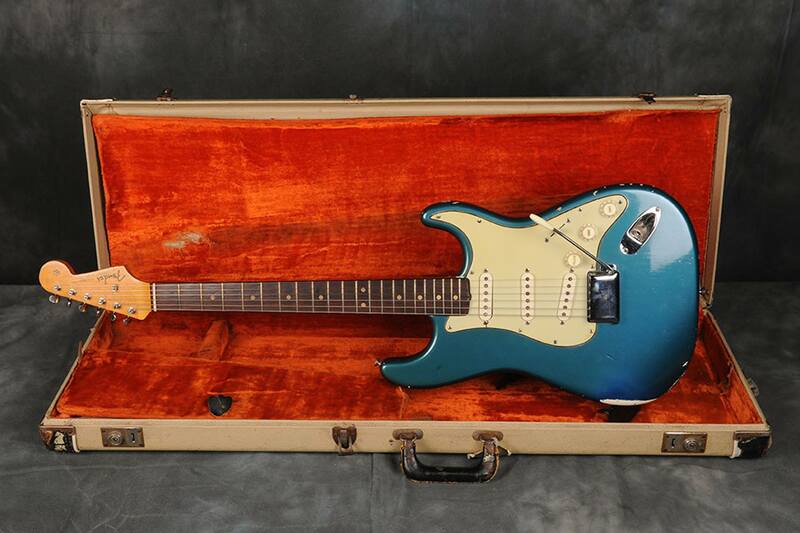 That’s an all original 1964 Fender Stratocaster in Lake Placid Blue with a blonde case. How Did The Strat Begin? Leo Fender designed the Stratocaster in 1953. At least that’s when he made the early prototypes anyway. Originally, Fender started in 1949-1950 with the Broadcaster (changed to Fender Telecaster as of late 1951). But, there were complaints about the body being so squared off and guitarists wanted more pickup selections. So, in 1953 he began working on a guitar that would set the stage for generations of music to come. It’s sleek curves and newly designed “floating tremolo” would etch its memory into rock n roll folklore. With this website, I plan to cover everything known about Fender Stratocasters during the Pre CBS era spanning 1953 through 1965. While the official launch began with the release of the 1954 Stratocaster we will go back into 1953 during the design phase to show off some pics of a prototype Strat. There has been much written about the Strats from that era. But, my goal with this site is to have all of that information combined with my 30 years or so experience with vintage Strats. I will be putting all of that together with pictures of as many original guitars as well as details of the build process. You can see as you go through the site that the main pages are a work in progress right now. I’ll have all of the pages for each year released in the next week or so. Then, they will continue to be built out as we go. Each page will contain videos, images, and details covering every aspect of each year model. There is very likely to be over 3,000 words of content per page because I have amassed much data over the years about the Pre CBS Stratocaster.